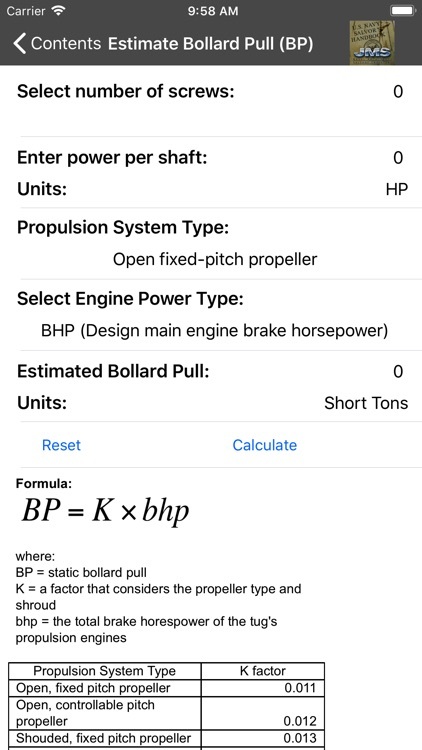 This version includes 12 easy-to-use calculators based on the most popular formulas in the US Navy Salvor's Handbook! 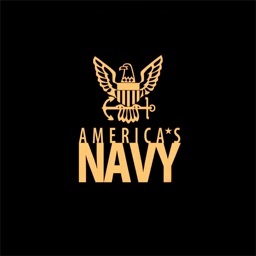 The U.S. Navy Supervisor of Salvage wanted to provide to their on-scene salvage personnel, access to their extensive library of marine casualty response know-how; the “hard-earned and sometimes blood-stained” knowledge and lessons-learned from decades of U.S Navy response to all types of commercial and military “ships in distress” around the world, during peacetime and war, and salvage operations of all sizes and scopes. 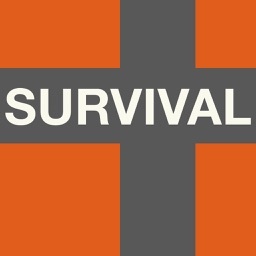 “The Handbook” was intended to be a condensed and “ready-reference” of expert guidance that could fit in the salvor’s hip pocket. 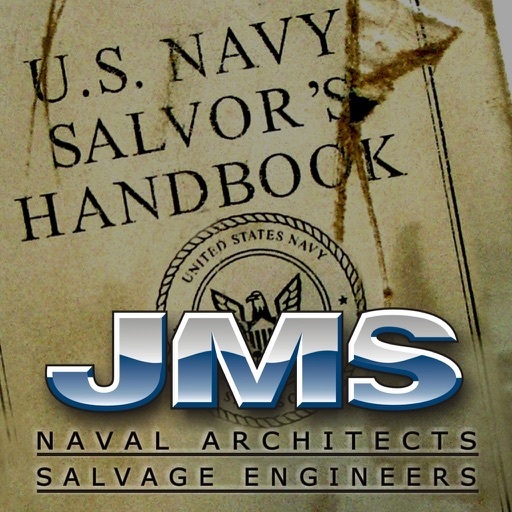 JMS Naval Architects & Salvage Engineers first authored the U.S. Navy Salvor's Handbook for the Supervisor of Salvage in 1990, and since its government publication, JMS has received numerous requests for the handbook from commercial mariners and salvors all over the world. 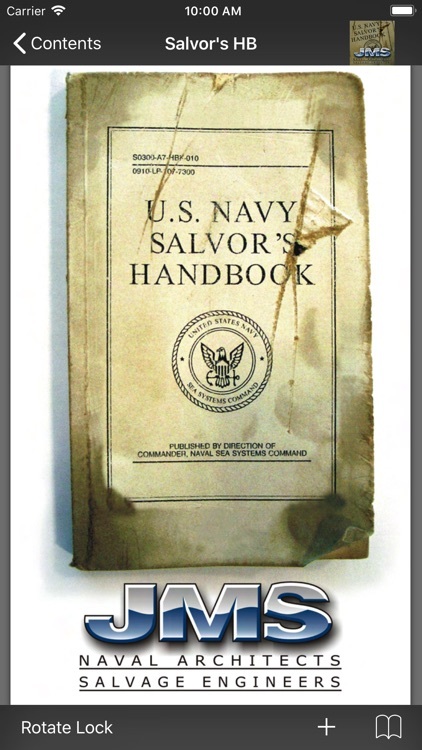 Although the U.S. Navy has kept the handbook up-to-date with several revisions over the years, they only print enough copies for their salvage personnel. Since the initial publication, JMS has, from time to time, printed small batches of reprints with special permission from the U.S. Navy. 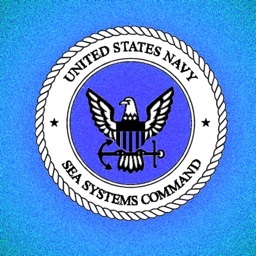 Commercial and military marine salvors are not the only ones who find this ready-reference indispensible. Owners and operators of both commercial and recreational vessels of almost any size and purpose will find this “practical compendium of marine casualty response know-how” very handy -- if not invaluable -- before, during and after a ship casualty. Naval architects, marine engineers and other maritime professions rely on it as a handy diagnostic, repair, design and engineering reference; while at the office, and on the water. 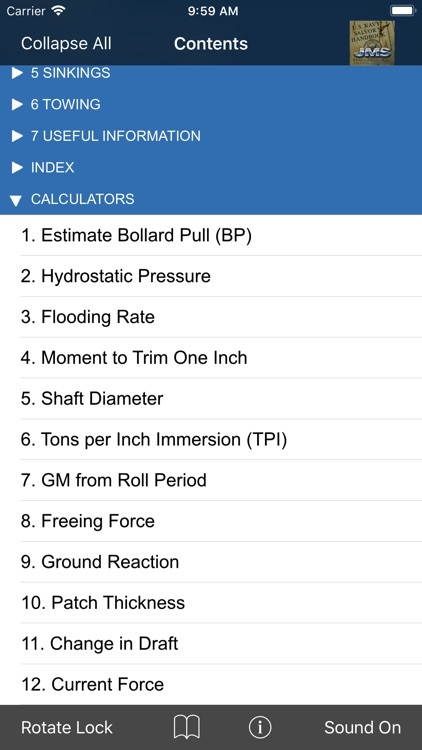 JMS now makes the same expert guidance available for your iPhone. JMS has published numerous naval architecture and marine engineering studies, documents and manuals for both commercial and government clients. 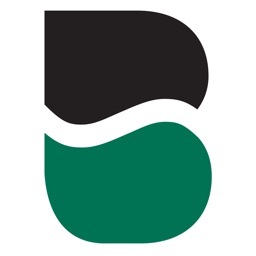 Subject matter spans the spectrum from damage control and salvage reports to comprehensive training and technical manuals. 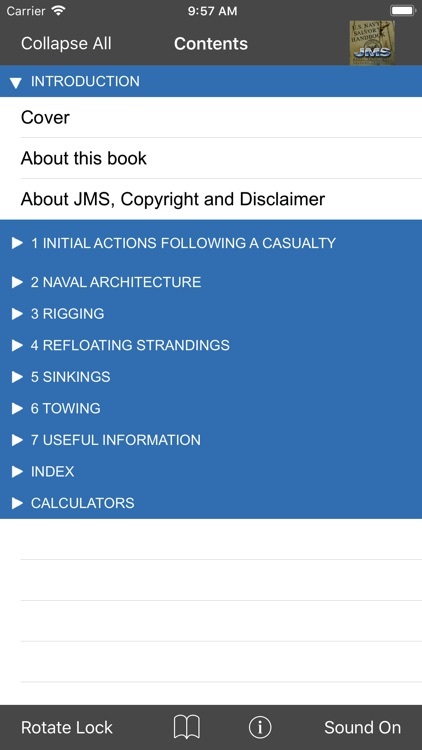 JMS is developing more iPhone applications of the other salvage books they have authored for the U.S. Navy Supervisor of Salvage. JMS Naval Architects & Salvage Engineers is a specialty maritime engineering firm with expertise in naval architecture, marine engineering, shipboard operations, salvage engineering and marine science. JMS has a broad client base representing all aspects of the marine industry including tug and barge operators, shipyards, marine science institutes, military vessels, passenger vessel operators, historic ship museums and even pleasure craft owners of power and sailing yachts. 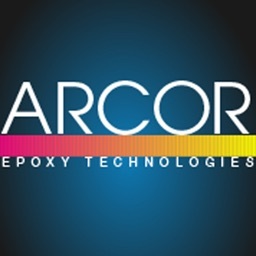 Find out why we like to call ourselves The Sea-going Naval Architects.